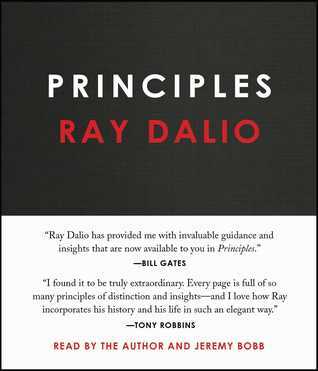 This book was written to explain all the principles that are used by Ray Dalio in his company, Bridgewater Associates. This is a truly remarkable book. It has so many great ideas that it’s difficult to embrace them all at once. But HabitCoach was created to collect all the principles from all the best books, including this one. We really love that a book with such a huge value has been written. Raymond Dalio (born August 8, 1949) is an American investor, hedge fund manager, and philanthropist. Dalio is the founder of the investment firm Bridgewater Associates, one of the world's largest hedge funds. Look at the machine from a higher level. Use this 5-step process to get what you want out of life. Understand that people are wired very differently. Manage yourself and orchestrate others to get what you want. Learn how to make decisions effectively.